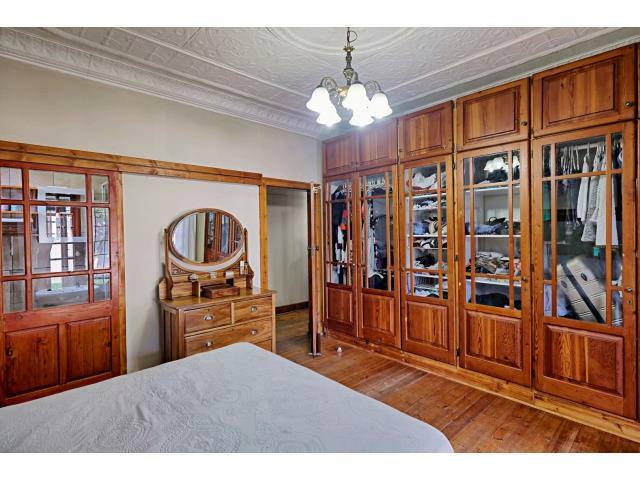 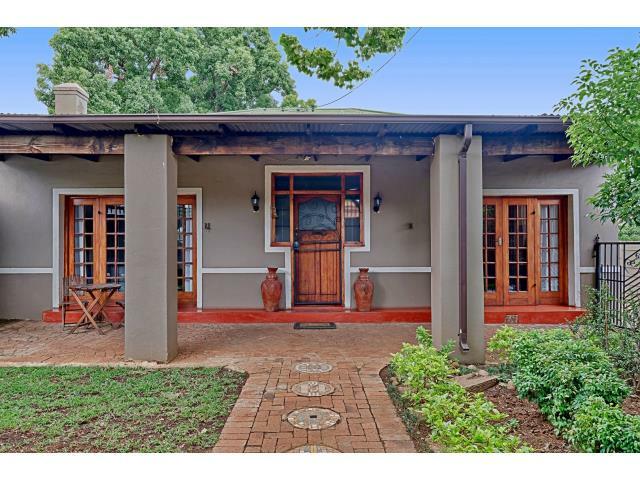 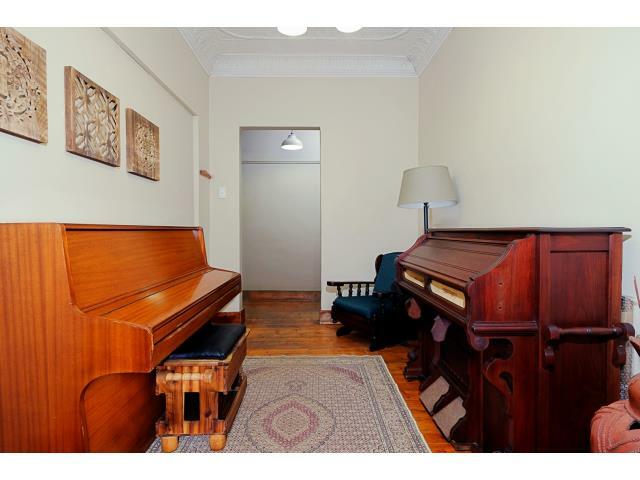 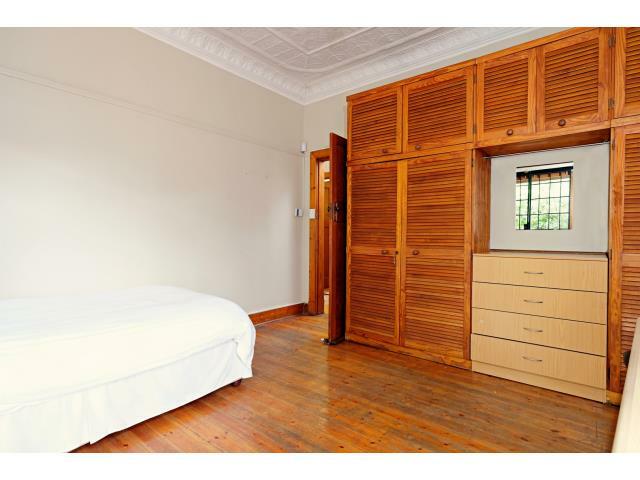 Are you looking for house that boasts character, look no further. 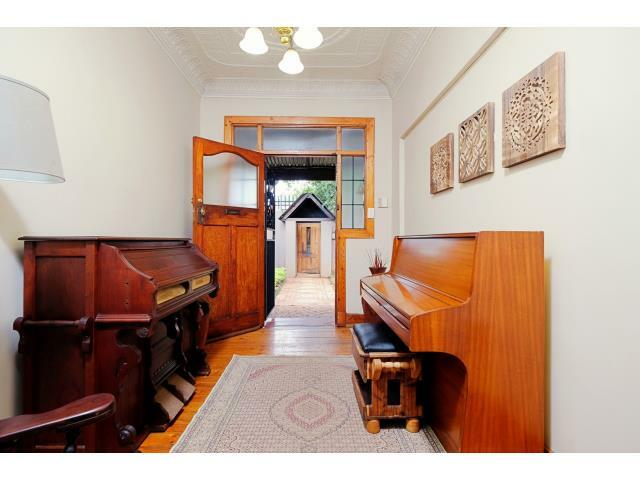 This lovely golden oldie is a manifestation of days gone by and one can almost feel the happy, quality time spent here with family and friends. 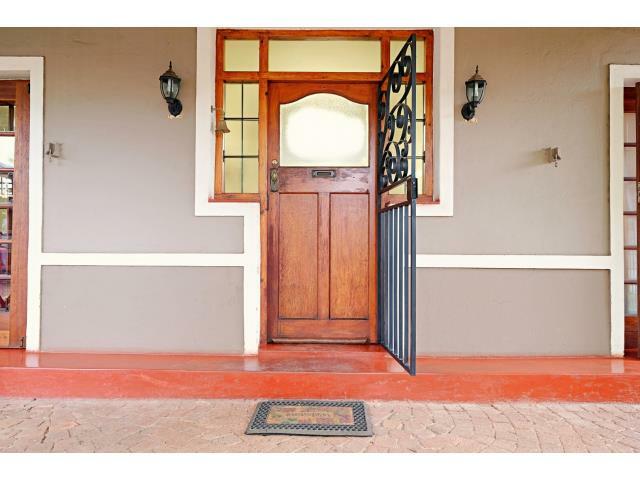 The home offers a welcoming entrance hall that flows easily into the rest of the house. 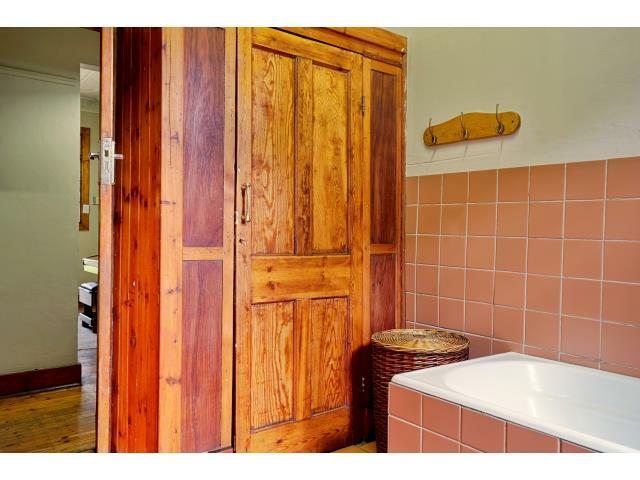 Wooden flooring, pressed ceilings and wooden door-frames and windows throughout the house. 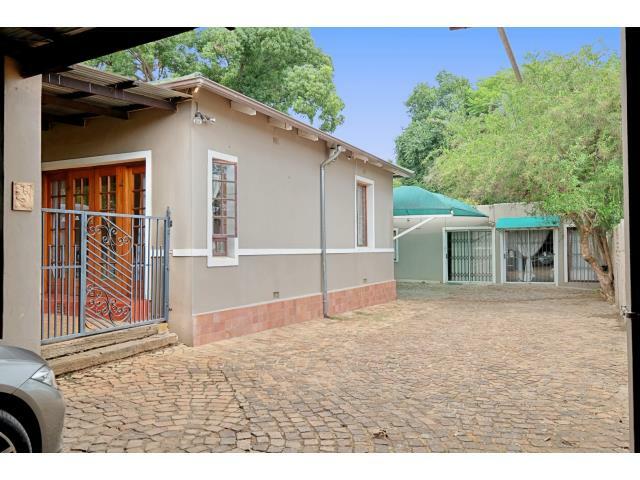 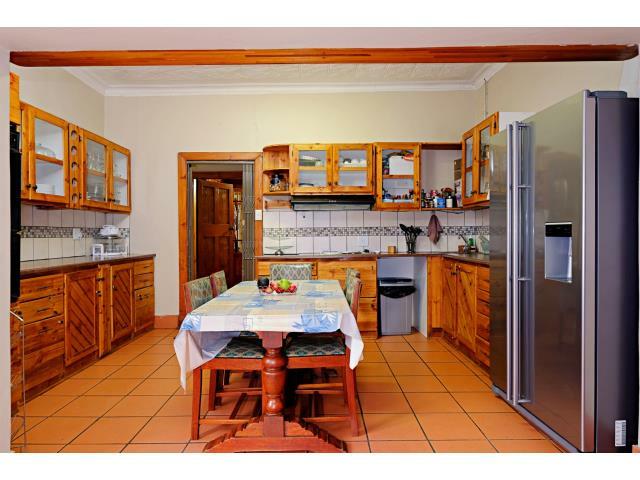 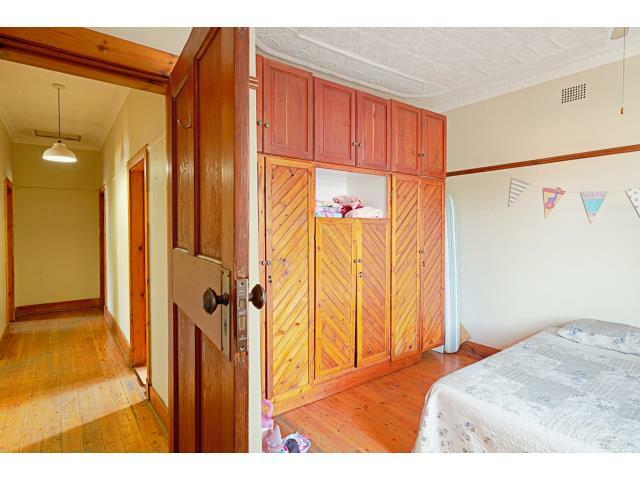 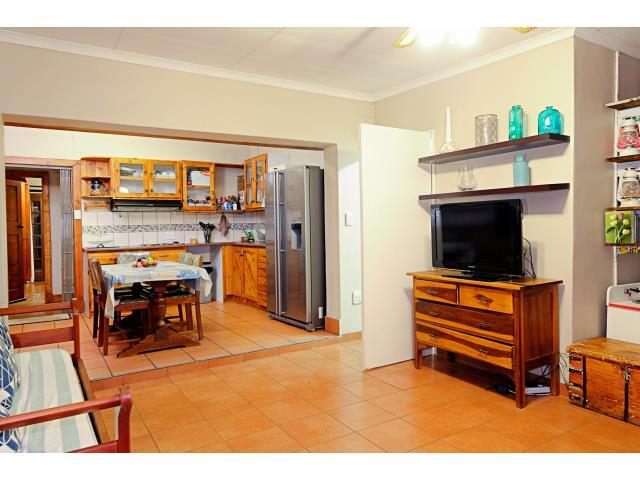 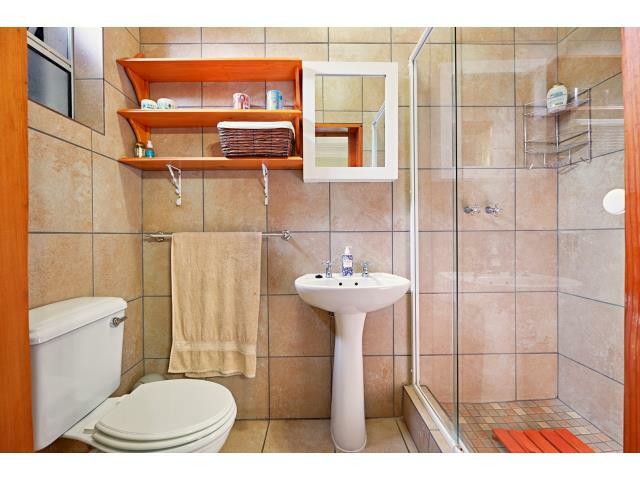 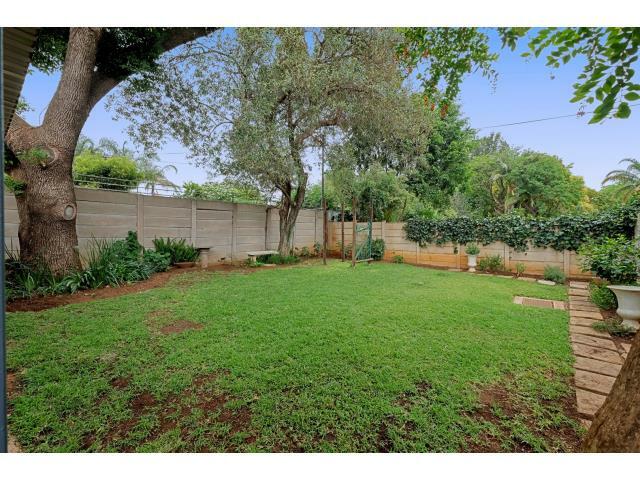 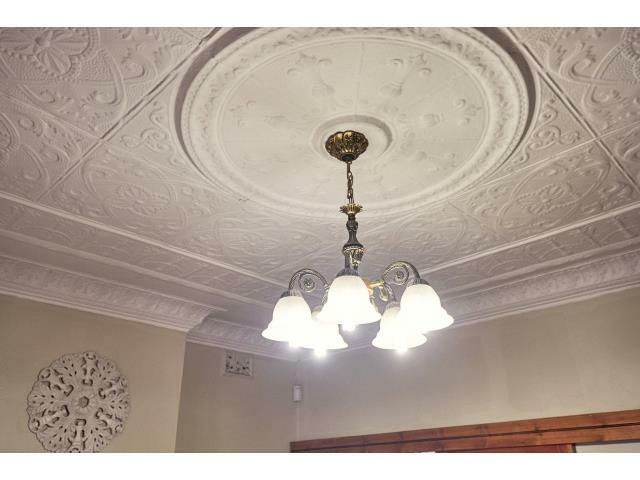 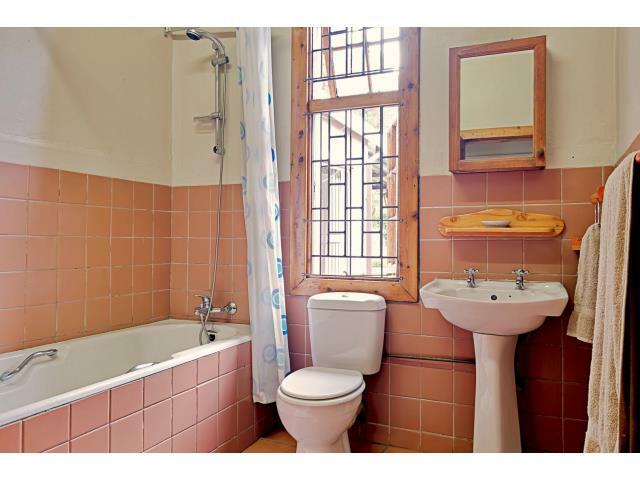 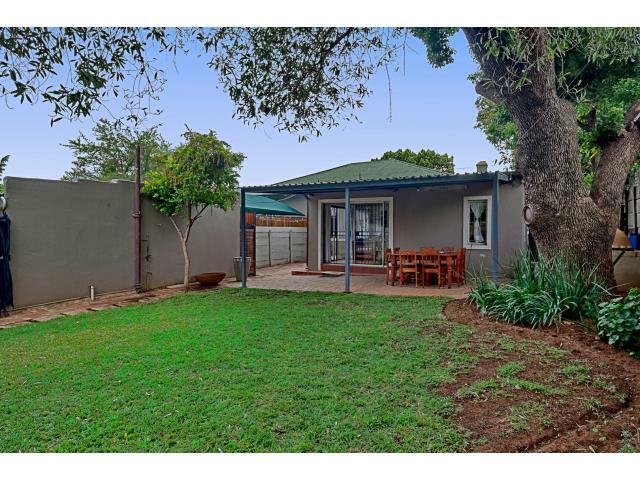 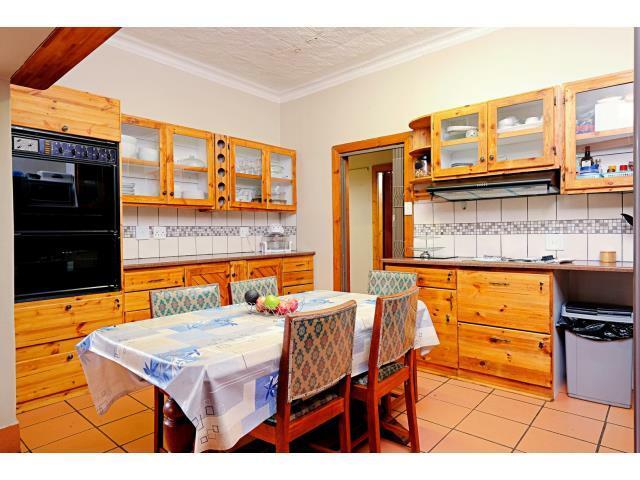 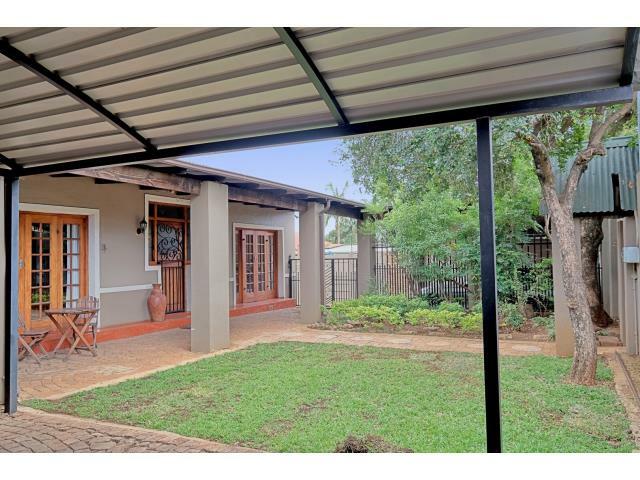 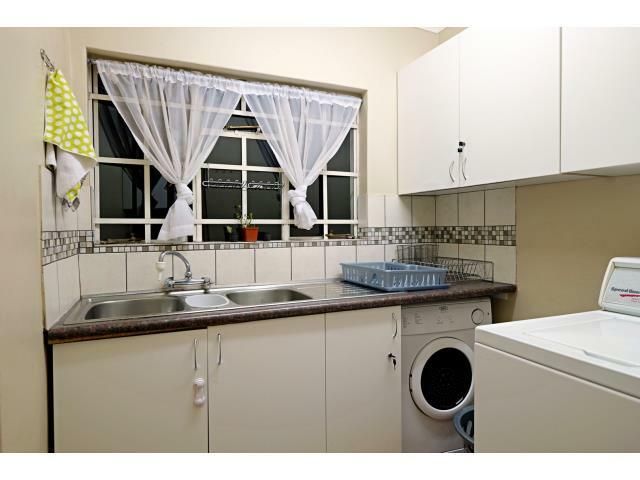 This home offers 3 bedrooms and 2 bathrooms (en suite bathroom) Open plan kitchen, sprawling living area which flows outside to the outdoor living area, and outside a fully contained 2 bedroom, 2 bathroom flatlet, with separate entrance and ample safe parking. 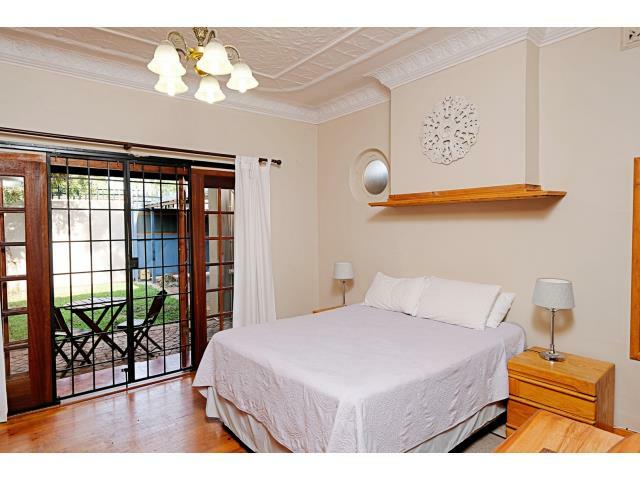 Sliding doors leading onto patio and private back garden. 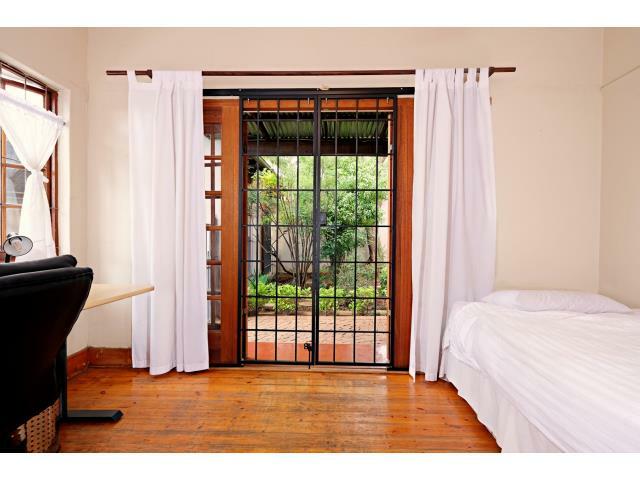 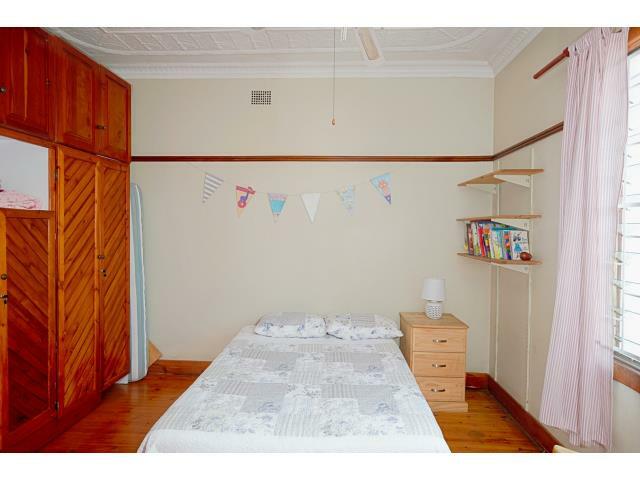 Two of the three bedrooms have French doors opening onto the veranda which overlooks a well maintained garden.